Salt Lake City, January 29, 2019 — The American Heart Association, the leading voluntary health organization devoted to a world of longer, healthier lives, asks Utahns to ‘wear red and give’ to support the Go Red for Women movement on National Wear Red Day: this Friday, February 1, 2019. Why wear red and give? Heart disease is the No. 1 killer of women, taking more lives than all forms of cancer combined. Someone you know and love may be affected – at any age. Heart disease and stroke claim the lives of 1 in 3 women – a third of our mothers, sisters and friends. It’s time to change this fact. Wear red to raise awareness about heart disease – the leading cause of death in women. You can get the iconic Red Dress Pin at ShopHeart.org. Cities across the country will “Go Red” by illuminating monuments, landmarks and major buildings in red on Feb. 1. In Utah, the University of Utah’s Legacy Bridge, the Salt Palace Convention Center, Rocky Mountain Power’s three locations, Nordstrom at City Creek Mall, the Grand America Hotel, the Trolley Square Tower and the Gateway’s Digital Tower will go red to show their support for the fight against heart disease in women. Join the conversation by using #WearRed and #GoRedUtah on social media. Here in Utah, the Red Couch Tour, locally sponsored by Steward Health Care, kicks off on Friday too. Stops will include all Steward hospitals – Salt Lake Regional Medical Center, Davis Hospital and Medical Center, Jordan Valley Medical Center, Jordan Valley Medical Center–West Valley and Mountain Point Medical Center – as well the Go Red Por Tu Corazón Luncheon, Heart on the Hill and the Go Red for Women Luncheon. We invite women (and men) to take a stand against heart disease by taking a seat and telling their story or pledging to make a heart-healthy change. “While nearly 80 percent of cardiac events can be prevented through education and lifestyle changes, cardiovascular diseases continue to be a woman’s greatest health threat. As the Red Couch Tour sponsor, Steward Health Care is committed to providing Utah women of all ages with tips and information to live healthier lives,” said Dr. Wobo Bekwelem, MD, MPH Interventional, Structural Cardiology & Vascular/Endovascular Medicine, and Chair of Cardiology, at Salt Lake Regional Medical Center. To treat, beat and prevent heart disease and stroke, women should understand family health history, know their five key personal health numbers to help determine risk and make healthy behavior changes like moving more, eating smart and managing blood pressure. To get involved with Go Red for Women locally, call 801-702-4420 or visit utahgoredluncheon.heart.org. The American Heart Association will hold its 14th annual Go Red for Women Luncheon to bring together hundreds of professional women to learn about the Go Red lifestyle, take giant steps toward healthier life choices and raise critically needed funds to fight heart disease and stroke in women. The Luncheon will be held Friday, March 8that the Downtown Marriott at City Creek. The Luncheon is sponsored nationally by CVS. For information on the Utah Go Red for Women movement or Luncheon, call (801) 702-4436 or visit utahgoredluncheon.heart.org. The American Heart Association’s Go Red for Women® movement is the trusted, passionate, relevant force for change to end heart disease and stroke in women all over the world. While nearly 80 percent of cardiac events can be prevented, cardiovascular disease is the leading cause of death in women, claiming the lives of 1 in 3 women. For 15 years, Go Red for Women has provided a platform for women to come together, raise awareness, fund lifesaving research, advocate for change and improve the lives of all women everywhere. 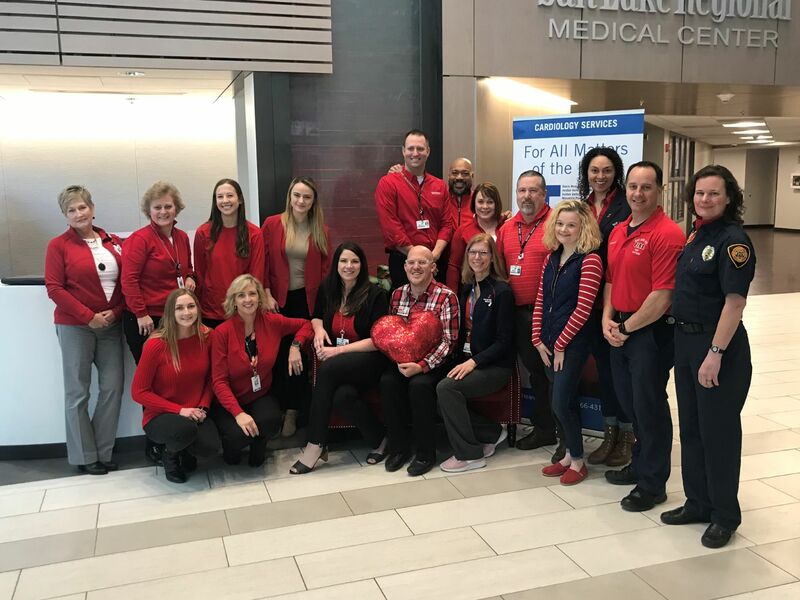 The American Heart Association's Go Red for Women movement is nationally sponsored by CVS Health, with additional support from national cause supporters. Connect with us on GoRedforWomen.org, Facebook, Twitter or by calling 1-888-MY-HEART (1- 888-694-3278).